AWG-Turbo-Nozzles meet the standard DIN EN 15 182 for branchpipes. The flow rates can be selected by the adjusting sleeve, and opening and closing by means of the lever. A special feature is the extinguishing power, due to optimal droplet size also at the full range of the 0° to 120° adjustable water-filled spray stream. 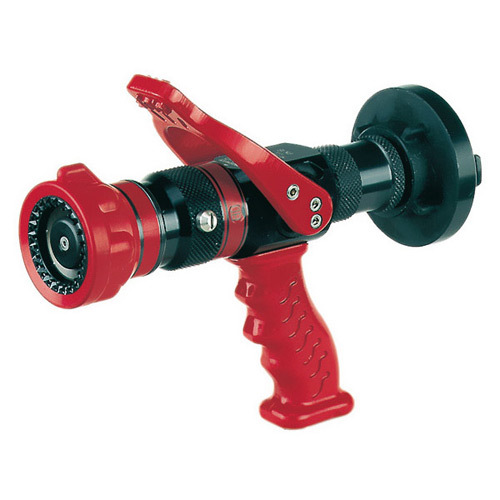 The AWG-Nozzles have two pointers, a good aid to feel the selected flow rate as well as the type of the stream. With Flash-Over position. Inlet also swiveling under pressure.